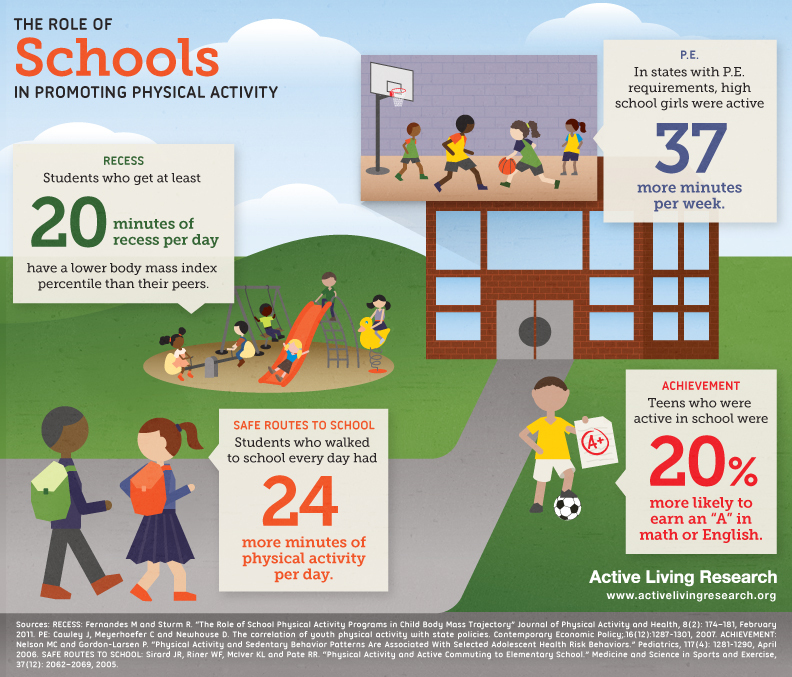 This infographic highlights a few ways that schools can promote daily physical activity for kids. Comprehensive physical activity programs that offer PE, recess, and safe and active ways to get to schools not only offer children the skills to learn how to be physically active for a lifetime, but also provide physical and mental benefits which help them perform better in school. This infographic can be downloaded for free in JPG format (465 KB) by clicking on the image or the "Download Original" link. A high resolution PDF version (1.24 MB) of this infographic is also available upon request. When requesting, please let us know how you intend to use the infographic. This was very educational, not just for the students but this time the educators themselves are up for the challenge! Thank you.